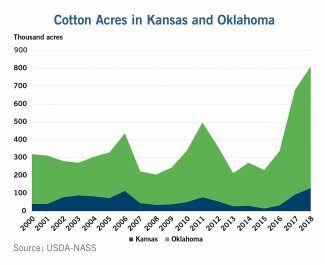 DENVER — The U.S. Department of Agriculture predicted a significant increase in cotton production in the largest cotton producing state in the U.S., Texas. 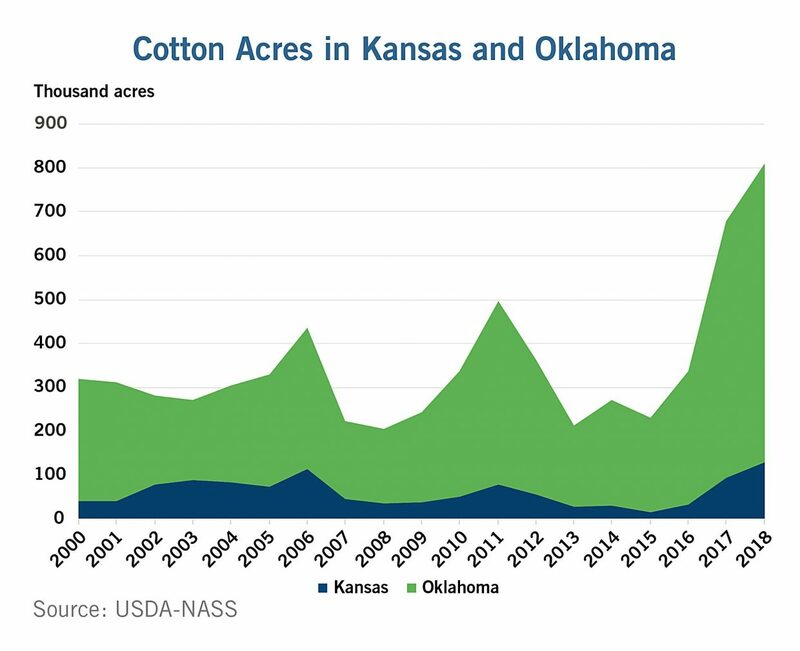 However, cotton watchers are interested in the apparent northern shift of cotton-planting into Oklahoma and Kansas. While cotton infrastructure looks for new opportunities, CoBank's Knowledge Exchange Division took a look at the underlying reasons for the shift and the future outlook for cotton in these areas. According to the report, there are five major factors driving the boom: Unprofitable prices for grain crops, declining water availability, round bale harvesters, better genetic varieties of cotton, and the increased optimism about a cotton farm-program reentering into the farm bill. 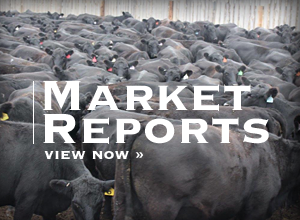 "The projections of increased planting are sending signals through the cotton industry that more ginning capacity and storage capacity is needed," said Ben Laine, a senior industry analyst with CoBank. 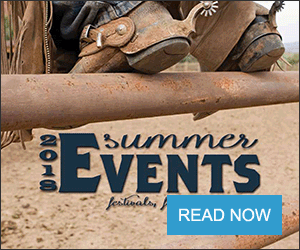 "We are already seeing some cooperative gins in Kansas expanding capacity, sometimes doubling the previous year's, and others in all three states are increasing storage capacity by upwards of 30 percent." While more cooperatives are considering capacity increases both in ginning and storage, the No. 1 question is the sustainability of the crop in these regions. "However cotton is included in a crop rotation, the underlying infrastructure investments and the long-term economics compared to other crops show cotton is sustainable in these typically grain-dominated areas," Laine said.